Identifying the servers hosting critical applications in your environment is crucial so that alerts for unusual events on those servers are put on higher priority for your security operations team. One of the approaches we can take to identify the critical assets is by leveraging the load balancer. 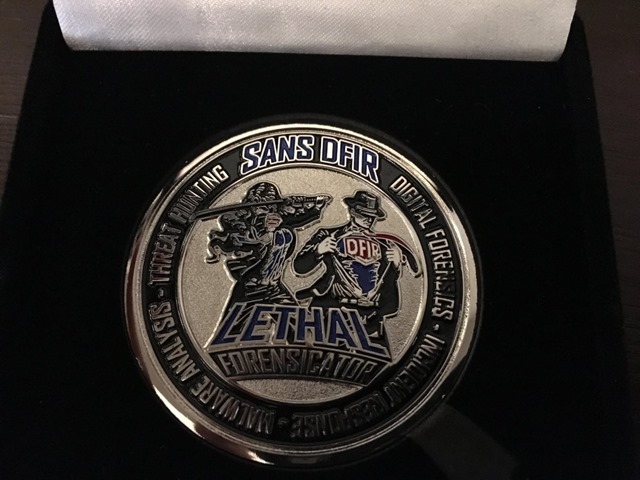 This could be a head start to build a mini-CMDB (Configuration Management Database) for assets for your sec ops team. 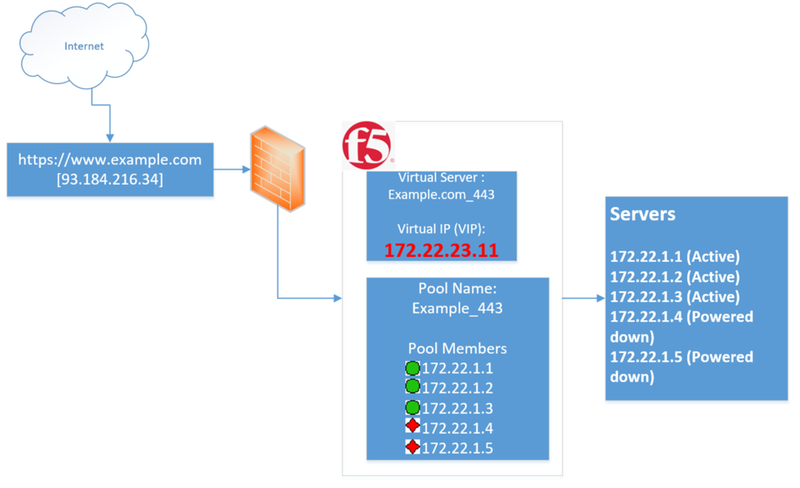 Below is an over-simplified example of network architecture showing a critical web app named “example.com” web app hosted by 5 servers which are load balanced on F5 (VIP : 172.22.23.11). Out of the 5 servers, only 3 servers are active. In this example, the goal is to get the active servers behind the VIP. I wrote a PowerShell script to get all the active servers behind all the active VIPs on the a given load balancer. If the server is hosting an app which is critical, It has to be load balanced. If a new server is added to an existing VIP, this script will get it. If a server is decommissioned, It would be inactive to the load balancer and therefore the script will ignore it. If the script is scheduled to run periodically, we will have an up-to-date list of servers which are running critical applications. That list can be integrated with SIEM to prioritize alerts from the those servers. The PowerShell script makes use of PowerShell cmdlet for F5 which can be downloaded from the below location. .\setupSnapin.ps1 should work fine now. $global:server_node_details += $ip_address+","+$virtual_server_name_only + "," + $virtual_ip +"`n"
$global:server_node_details += "Server IP,F5 Virtual IP,F5 Virtual Server Name" +"`n"
The script output has 3 columns for each server in with Its Virtual IP and Virtual server name. Virtual server name is an identifier for the Virtual IP address on the load balancer. That name provides an indication of what that server is used for. This approach groups servers by their Virtual server name and saves identifying each server for what it is used for. In the below hypothetical example for the output, servers 172.22.1.1, 172.22.1.2 and 172.22.1.3 running example.com web app. 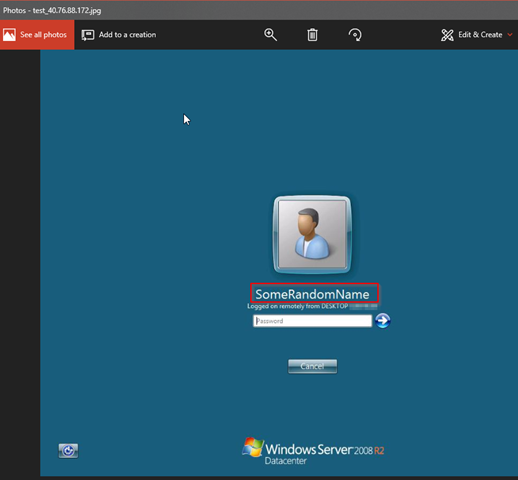 If you stand up a windows 2008 R2 VM in Azure with a random user name and password, Its very easy to know that user name and depending on the complexity of the chosen password, It may be feasible to brute-force the VM using RDP. 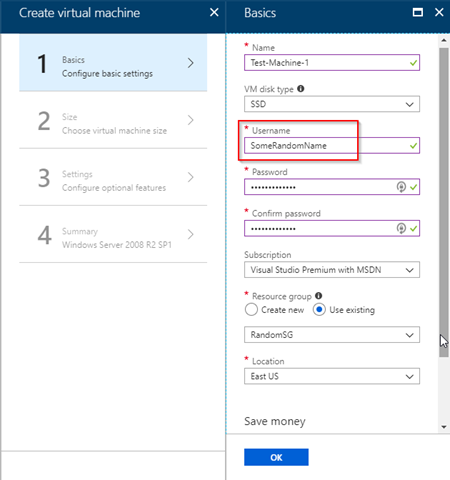 2) As an attacker, determine the user name for the Azure VM. 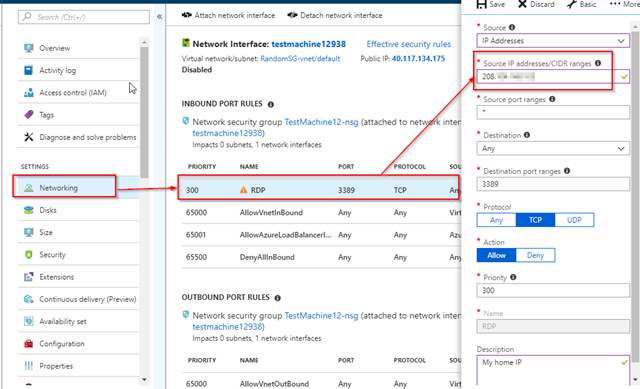 3) As an attacker, determine the password for the Azure VM. 4) Simple steps to defend against the attack. Resource Group : Select an existing or just create a new one. Be cheap and select the lowest cost disk from the list. Once the VM is created and running (you will see a notification in the portal), you should see the VM in the list with “Running” status. Click on the “Test-Machine-1” VM entry in the above list and then click on the “Connect” button. 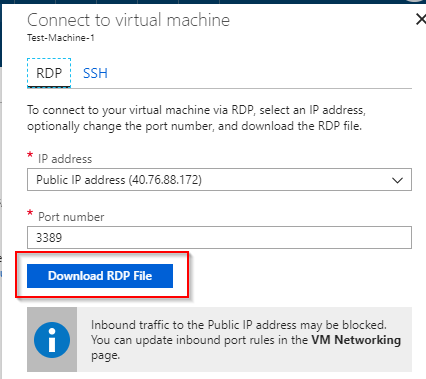 Click on the “Download RDP File” to download the RDP file for the VM. 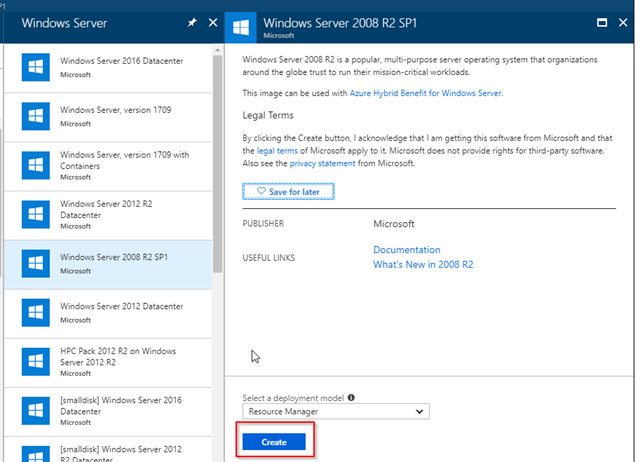 Open the RDP file for the VM and enter the credential you used while setting up the VM. There is a easier way to determine the user name rather than brute-forcing the VM. If the victim is logged in to the VM, the attacker can use something like rdpy-rdpscreenshot.py which is one of the fantastic binaries in rdppy by Sylvain Peyrefitte (@citronneur) which allows to take the screenshot of the login screen. See in the below screenshot. It connected to the IP address 40.76.88.172 and saved the screenshot to c:\temp\test_40.76.88.172.jpg. Here is the file with screenshot of the login screens showing the user name for the machine. 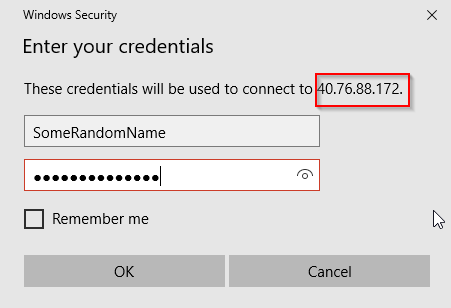 This was possible because Windows 2008 R2 supports Network Level Authentication – which completes the user authentication before you establish a RDP connection and the logon screen appears. You can use a RDP brute-forcing utility such as Hydra [https://github.com/maaaaz/thc-hydra-windows] to determine the password for the user from a password list. When you set up the VM and setting up the RDP for it, It warns you about RDP will be exposed to the internet. 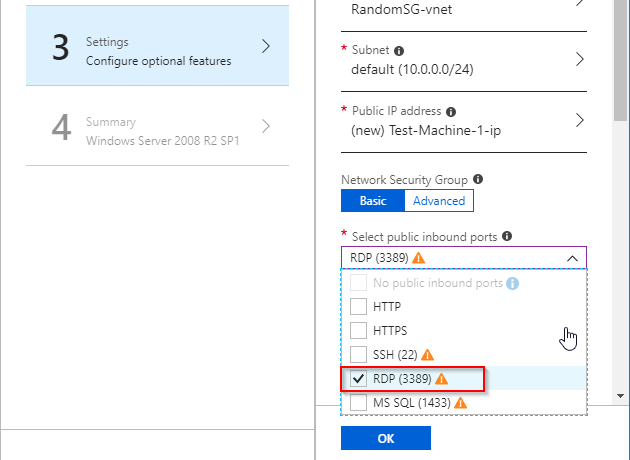 So, you should limit access to the RDP from your/your organization’s public IP address/CIDR only through the network security group changes for RDP. Now with the source IP restriction, rdpy-rdpscreenshot.py from a different IP wont be able to reach the VM to take the screenshot of the login screen. Feel very privileged to be part of that group! Passed GCIH (GIAC Certified Incident Handler).This was a tough one. HttpOnly flag on a cookie prevents the client side code to access the cookie. More details here. If you create a cookie using the insert method the cookie is created with version 0. If you try to change Its version to 1 to avoid the above error, you will get another error. The right way to add the httponly flag to a cookie is to specify the version while you are inserting it and then set the httponly flag. If you have a chrome extension like EditThisCookie which can let you view all the cookies for the web app, you can notice the HttpOnly flag checked for the cookie. With httponly not enabled on the cookie, the cookie can NOT be accessed via the client side script document.cookie. PowerShell is indeed command prompt on steroids. 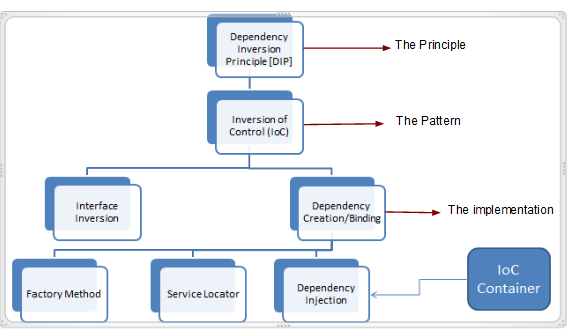 The dev and IT productivity can be multifolded using PowerShell. Having said that, PowerShell can be used to execute malicious commands on the host machine. Fortunately, the group policy allows to not only transcribe every PowerShell command on the host machine but also log the WHOLE PowerShell script (every line of it) executed as such or using by other means e.g. 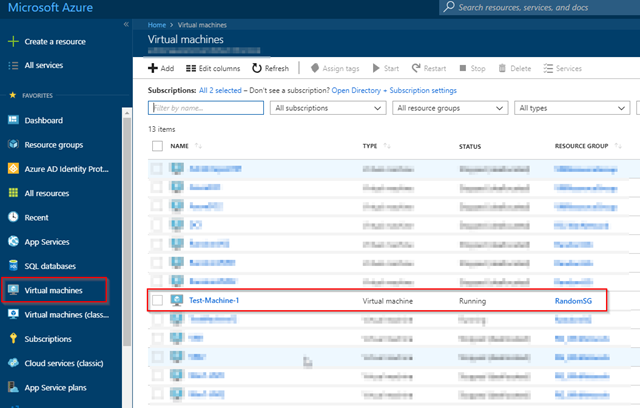 using System.Management.Automation to invoke PowerShell commands. The logs then can be ingested into a SIEM for monitoring and alerting. Below screenshot shows that If you enable the PowerShell Transcription and specify a log location, any PowerShell command you execute will be transcribed in a file in the specified location. The below C# code is using System.Management.Automation to execute the PowerShell script. 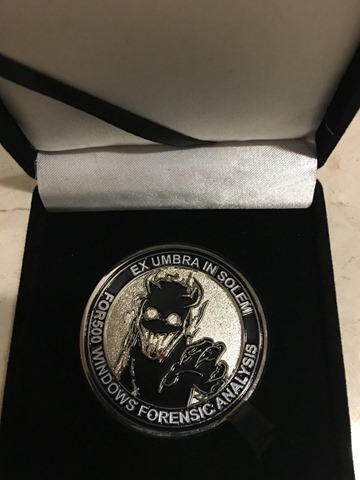 The script was compiled and executed on the host machine. 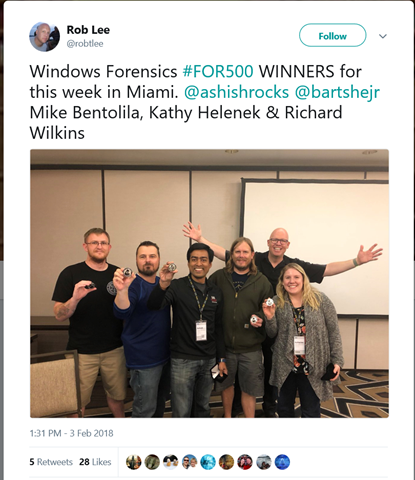 The PowerShell script which got executed from this C# app was logged in the event viewer [Application and Services Logs > Microsoft > Windows > PowerShell > Operational]. Service Provider(SP/RP) : Party which provide a resource/service to the user. Also called a relying party. 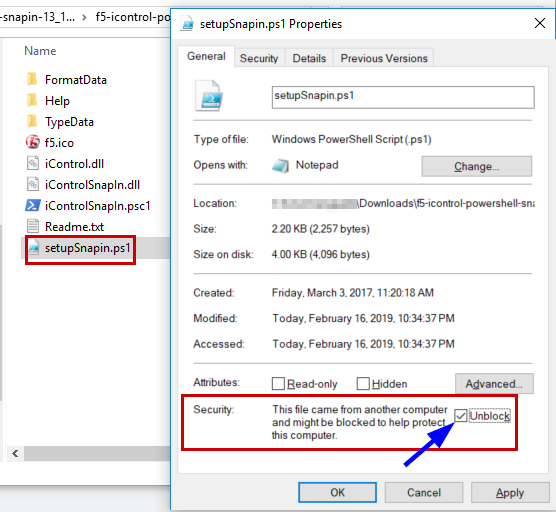 SP saves the requested resource URL, sees there user does not have a session with them. It then sends the user (with a SAMLRequest) back to the idP it trusts to authenticate. idP checks if the user has a session with them and If not challenges the user to log in. Upon successful login, idP sends the user to the SP with a SAML assertion. 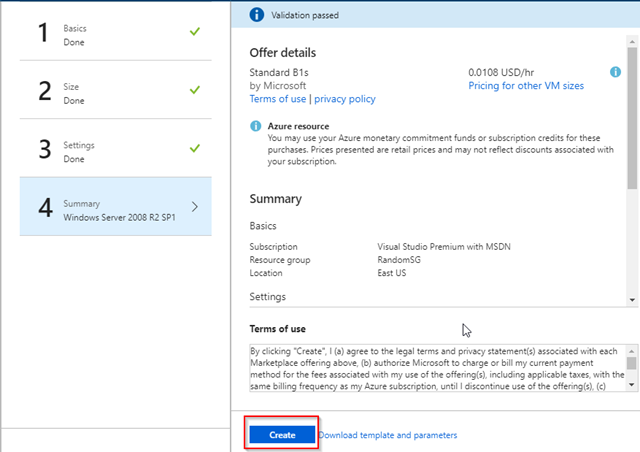 SP verifies the SAML assertion, creates a session for the user and lets the user access the resource. This step is simple. User access a link on the SP. Typically each SP website page user accesses directly (e.g. DeeplyPlacedFile.asp) would check If user has an existing session (e.g. has the required valid SP auth cookie), It will let us user stay in the page the SSO flow ends here. If the user does not have an active session next steps (starting from 2) ) below will follow. Typically, SP website have cookie check in each page via shared lib. In the example below Its an ASP include file which can be used in all the ASP pages within the SP website. 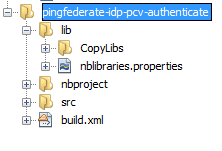 The above line indicates there is an PingFederate idP connection (with the name ‘https://federationengine.identityprovider.com’) on the service provider federation engine. This will create a AuthNRequest (SAMLRequest) and will port to the SSO URL on the idp side. If the SP’s federation server determines there is no active session for the user and user is coming for the first time, the federation server constructs an SAML Authentication request also called “SAMLRequest” and sends the base64 version of it to the idP federation server SSO URL. It also creates an identifier (as a RelayState), saves along with the originally requested URL as a key-value pair. This is done so that when the idP comes with the same identifier, It can retrieve the originally requested URL and can just redirect the user. This way, there is no need of passing the URL around. Notice the highlighted issuer id. This is the entityid of the service provider. This is needed by the identity provider to determine which party It needs to issue the SAMLResponse to. 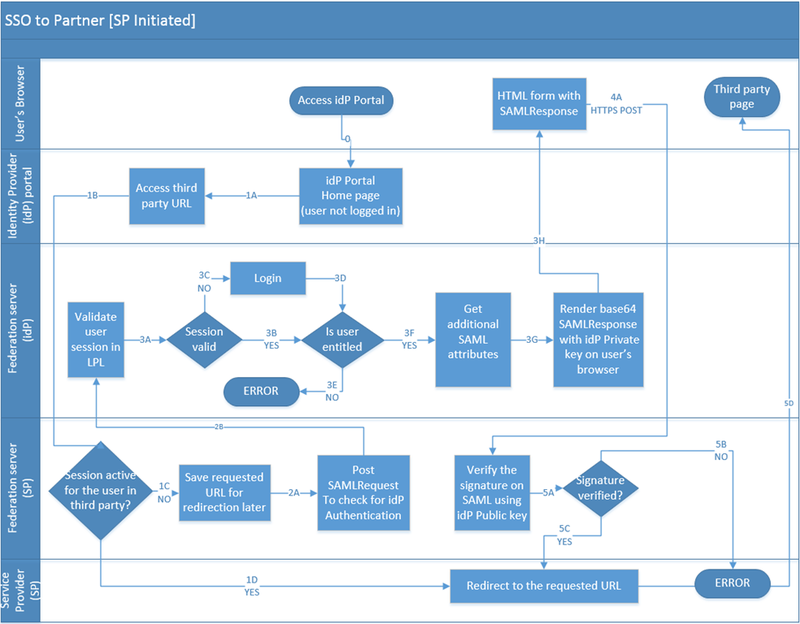 idP Federation server, upon getting the authentication request, initializes the appropriate connection configuration for the service provider (identified by the SP issuer id sent in the previous step). The configured authentication adapter in teh connection is invoked and user is challenged. Upon successful user login, the server issues the SAMLResponse. This SAMLResponse is signed with the idP’s private certificate and other attributes needed for the SP to create the session for the user. If the authentication request is sent via POST, there are the SAMLRequest and RelayState are sent in hidden fields. Notice, Its the RelayState hidden field has the same value SP passed to the idp in step 2). a) The issuer id “www.identityprovider.com” is the identity provider’s entity id. b) The SAML is issued to the entity id “www.serviceprovider.com” of the service provider. c) SAML is posted to the Assertion Consumer Service (ACS) URL https://www.serviceprovider.com/sp/ACS.saml2 of the service provider. SP federation engine verifies the signature on the SAML with the publice cert (previously sent offline) and if the verification is successful, creates the session (e.g. via a cookie). The RelayState token also comes as part of the POST request. It also pulls up the originally requested URL mapped with that token and redirects the user to the the URL. 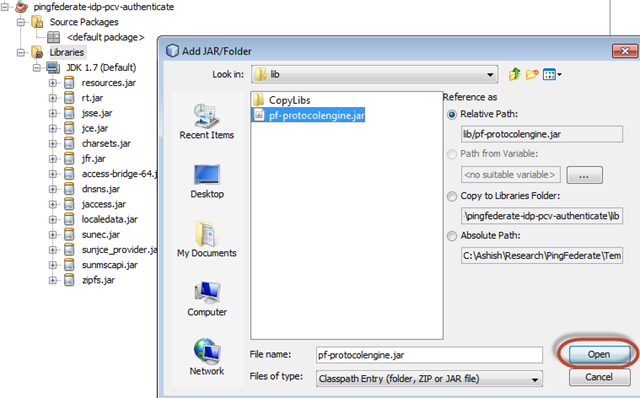 Apparently if you have a Java 7 app, and if the app connects to a HTTPS endpoint, TLS 1.0 is used by default with a weak cipher suite ECDHE-RSA-DES-CBC3-SHA. Interestingly, Java 7 does support TLS 1.2 but not enabled by default. So now, If the company managing the HTTPS endpoint decide to disable TLS 1.0 for better security, the client java7 app wont be able to connect to it, because It will use TLS v1.0. Fortunately, there is a very simple way to make a change from TLS v1.0 to v1.2. 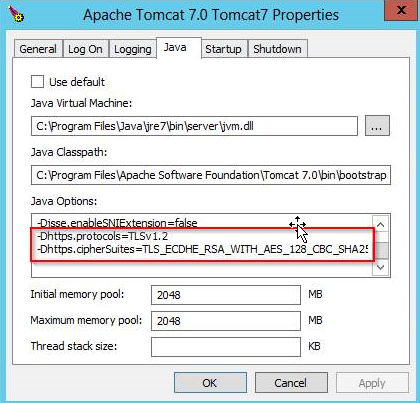 Changes below are for a Windows 2012 Tomcat hosted Java 7 app. 1) Stop the Tomcat windows service. 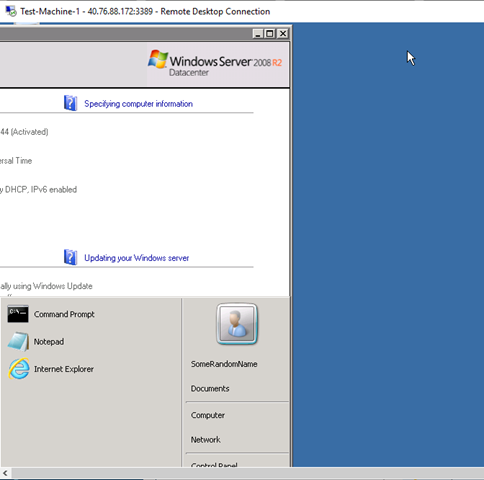 2) Open Tomcat configuration panel (should be listed as “Configure Tomcat” in the start menu). 3) Go to Java tab > Java Options > Add the below lines at the end (screenshot below). Note you may add as many as ciphers as supported by the HTTPS endpoint you are connecting to. 4) Start the Tomcat windows service. By the way, there are a number of supported cipher suites by Java 7 on TLS v1.2. The supported ciphers can be added as a comma separated list in the cipher suites options. The output needs to be included in the SAML as a value for a SAML attribute. In this case the attribute is named as “Payload”. When we have implemented the solution, below is the part of the SAML response what It would like showing the attribute key “Payload” and the value from the service. Now on a first thought one would think this could be done using a custom data-source in PingFederate. However, a custom data-source does not have access to the HTTP request context and therefore cannot access the querystring. One way to solve this to use an OGNL expression for the “Payload” attribute. The OGNL expression has access to the HttpRequest. So – not only we can get the querystring, but also can get the authentication cookies from the request which may be required by the payload service. Below is the skeleton of the helper class the OGNL expression is using. The jar file for the class needs to be put in the “\pingfederate\server\default\deploy” folder and the PingFederate service needs to be restarted. The constructor takes the URL. 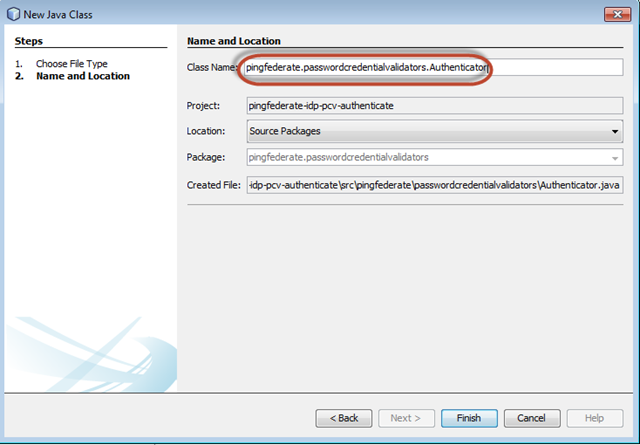 This post provides a step-by-step instructions on developing and configuring a custom password credential validator [PCV] for PingFederate using PingFederate SDK. 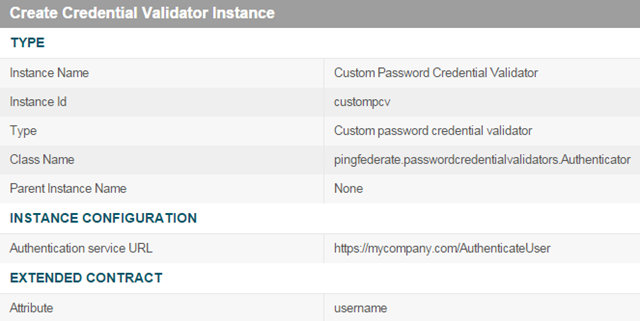 If you are using PingFederate in your enterprise, you would probably use an authentication service from PingFederate to authenticate your users. 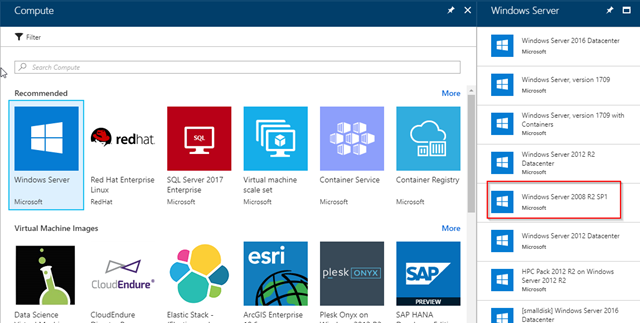 This sample example of custom PCV, demonstrates how to create the UI element in your PingFederate to configure your custom service URL and how the can you use the same service URL to authenticate the users. 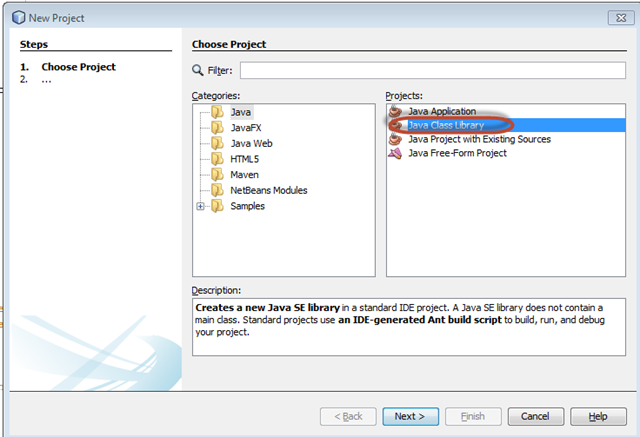 I am using NetBeans IDE 8.0.2. However, you can use this same concept from Eclipse as well. The source code for this project is available in the below GitHub repository. 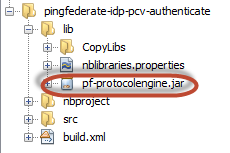 In order to use and compile the project with the PingFederate SDK, locate the pf-protocolengine.jar in the local pingefederate installation folder [\pingfederate\server\default\lib]. copy the to the lib folder in the projects file view which will now look like below. 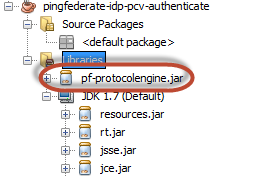 The reference to the pf-protocolengine.jar is now added. Enter the class name as “pingfederate.passwordcredentialvalidators.Authenticator” and click Finished. Extend the class from the PasswordCredentialsValidator. You do need to import few namespaces. Below is the complete class. This can be used to configure any set of UI elements which needs to be configured by the PingFed administrator. 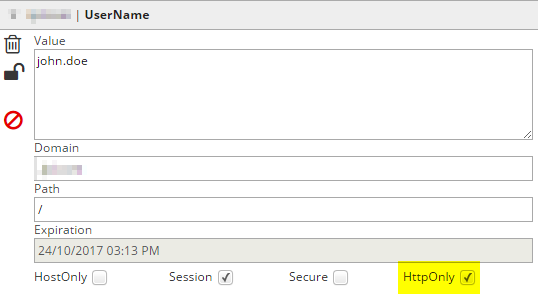 In this example, It creates a textfield for the authentication service URL in the Admin UI. This is where the PingFederate administrator would configure the service URL. This can be used to get the configured values from the UI elements (set thie getPluginDescriptor) to the class level variables which then can be used in the processPasswordCredential() method [described below]. Takes the username and password from the input fields in the HTML form and authenticates the user with your service. Ignore the implementation details of the service. If the authentication service does not allow the service, this method should throw the PasswordCredentialValidatorAuthnException with “false” and a string which shows up to the user in the HTML login form as an error message. One more thing – You do have to identify this project as a password credential validator. 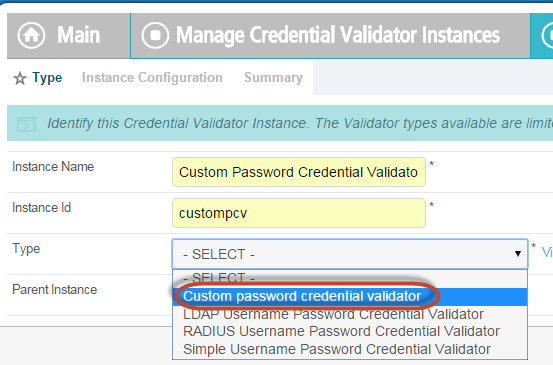 For this – add a folder named PF-INF under src and name it “password-credential-validators”. Put the fully qualified name of the class, in this case – pingfederate.passwordcredentialvalidators.Authenticator. 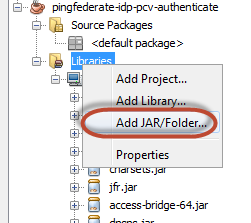 Build the project and by default the jar file would be created under /dist folder. However, you can change the default location by changing the “dist.dir” property in the nbproject/project.properties file. is controlled by the name you provide in the below class instantiation in the getPluginDescriptor method as described above. 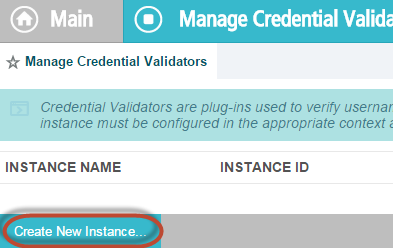 Provide a name and instance id as well and click Next. Provide the service URL and click Next. 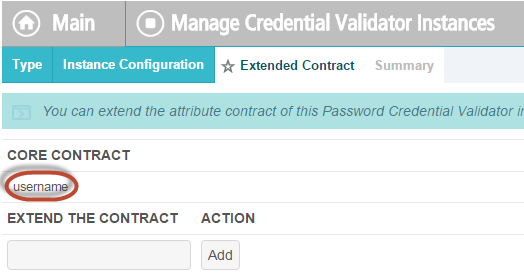 Notice the core contract attribute is username. This is the attribute we set in the processPasswordCredential(). If the user is authenticated, we put the user name in this same attribute so that It is available for the next adapter in the composite adapter chain If this PCV is used in a composite adapter. Below screen shows the summary. Click Done in this screen. Click Save in the below screen. You have successfully developed, deployed and configured a password credential validator in PingFederate. In the forthcoming articles we will see how we can use this PCV in a adapter and set up the adapter for user authentication via HTML form.